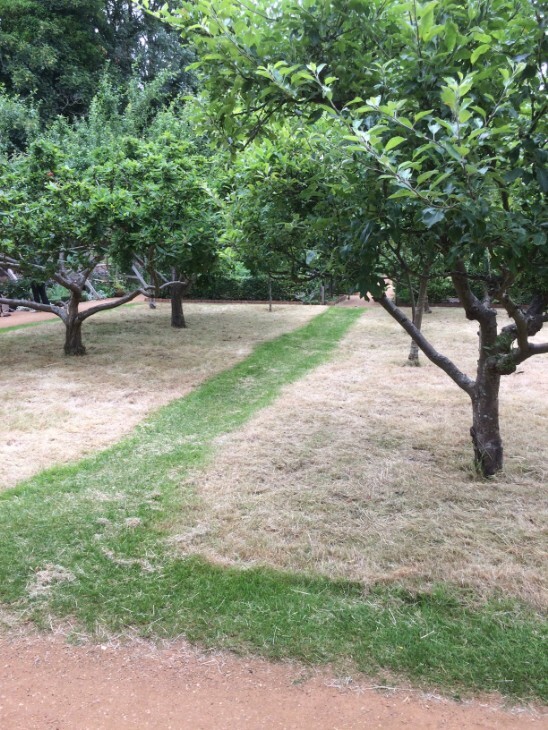 It was with great sadness that the Physic Garden lost one of its long time volunteers and Friend of the Garden in the recent death of Laurie Woods. Laurie brought to the Garden his expertise especially relating to 17th Century vegetable growing and until recently was responsible for the flower bed alongside the West wall. He was also a regular contributor to the Newsletter writng under the nom de plume of 'Adam the Gardener' providing tips and advice on many aspects of ancient gardening. Laurie's funeral is to be held at 11.30am on Friday 3rd May at The Oaks, Havant. 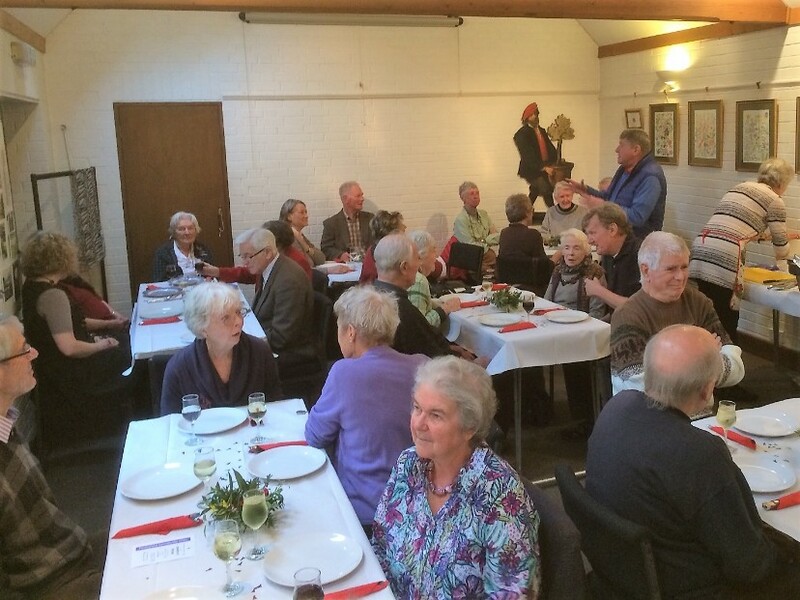 Friends of the Physic Garden were welcomed and thanked by chairman Lewis Kent (pictured above) at their pre-Christmas luncheon. They enjoyed a splended traditional meal with all the trimmings in the Exhibition room of the Garden.Lewis and his wife Beverley were thanked in turn for all their hard work in providing such a splendid function by treasurer Daphne Clark.The event provided an opportunity for Gardeners, Helpers and Friends to meet and celebrate another successful year. The Winter Edition (No. 59) of the Friend's Newsletter has just been published and is being distributed to members. Editor David Potterton has produced an edition which is bright and informative and very attractively laid out. Rupert Bowen, son of Major John Bowen, has accepted the invitation to fill the role of President of the Friends of the Physic Garden. He replaces June Parkinson in this role, a post she had held for many years before her move to Devon. Lewis Kent was welcomed as the new elected Chairman of the Petersfield Physic Garden at the annual general meeting in June. Lewis who has been a volunteer warden at the garden for more than seven years replaces Brian Robinson who resigned in 2017 due to ill health. No stranger to volunteer work he currently holds five different jobs in a variety of charities. He is assisted by his wife Beverley who has also wardened for many years and is aso a member of the committee. 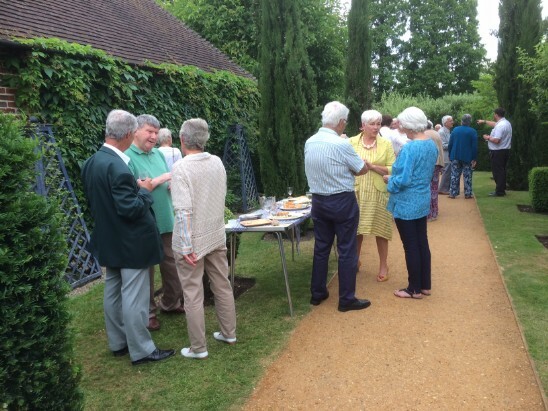 A perfect evening was complimented by strawberries and cream at the Physic Garden's annual summer party. Volunteers had been busy all week weeding, trimming and mowing to have the garden looking its best for the occassion and late evening sunshine did the rest. The party was preceeded by the Annual General Meeting at which a new chairman, Lewis Kent was elected filling a void which had been left vacant for a year. The spring wild flower meadow has now been cut in time for the Friend's Annual Mid-summer party. Hopefully the sun will shine and guests will be able to enjoy the garden at its best. As an experiment this year the party will be preceded by the AGM (attendance not compulsary! ).